Posting this example of an unfriendly Canadian online grocery website. Notice how may conditions are advertised and how complex the transaction can be. Do your grocery shopping online and hassle-free! Your order will be prepared by the IGA supermarket of your choice. Allow at least 4 hours for a pickup and 6 hours for a delivery. Prices charged will be those in effect the day the order is picked up or delivered. Prices take effect on Thursday of each week and end on Wednesday the following week. Please note that at the time of delivery, the credit cardholder must be present and show the card to the deliverer. Some products may not be available and/or may be substituted. A minimum order of $45 is required by the store to be delivered. Assembly costs of $4 will be charged for each order. There will be a 5¢ charge for each paper or plastic bag. The store reserves the right to limit quantities. No sales to retailers. Text prevails when photo does not correspond to the description of advertised product. Once you’ve submitted your order, it is relayed to the IGA store of your choice. The person in charge of the IGA Online Grocery orders then prints out your order and starts compiling the items you’ve chosen. If your order includes fresh items such as fish, seafood or meat, a specialist from the appropriate department will carefully select the items you’ve requested. The same applies to fresh fruits and vegetables. A qualified person from the Produce section will carefully select the items you’ve requested and ensure that they are fresh. The rest of your order will be filled by another member of the supermarket staff. While your order is being compiled, the person in charge of your order will make sure that the items selected correspond to your order and that no items are missing. If any of your instructions or comments are unclear, if an item is unavailable or if there are any questions about your order, one of our representatives will contact you. Once your order is ready, it is sent on to the check-out desk, where it is double-checked by the cashier. Before it is bagged, the order is separated into three categories: refrigerated items, frozen items, and all other items. 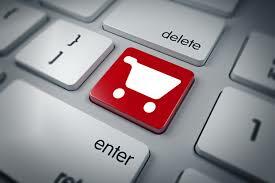 All your shopping bags will be identified as IGA Online Grocery orders and will be stored appropriately (in the freezer or refrigerator, as needed) until delivery. Temporary storage is never more than a few hours. If your order contains beer or wine, the person who picks up the order or receives upon home delivery must be 18 years of age or over. When you place your order, you can opt to pick up your groceries at a specified time at the Courtesy Desk of your local IGA store.If you have any questions about ordering online through the IGA Online Grocey, feel free to contact us! It is always our pleasure to assist you in any way we can. Welcome to the IGA Online Store!